No one likes having a cord hanging around when you're trying to get things done while listing to a bit a music. 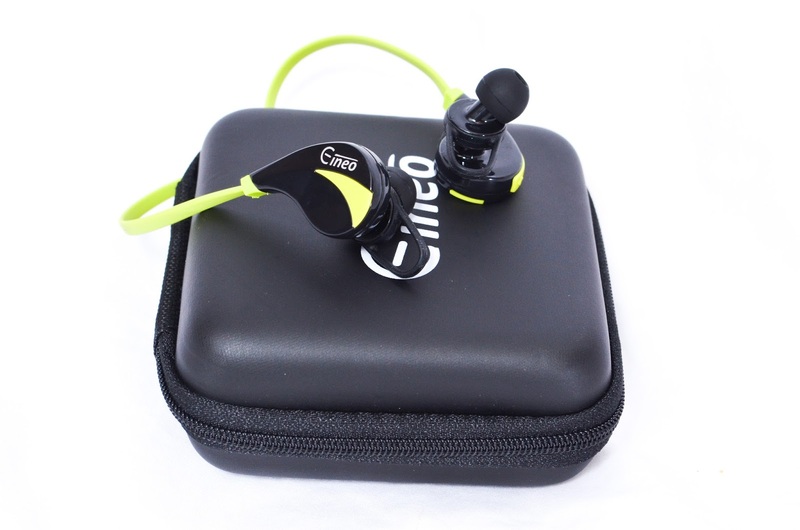 These bluetooth headphones by Eineo help eliminate that problem but they aren't without their shortfalls. Build- Construction is your usual glossy plastic. Not the strongest but they're pretty light. 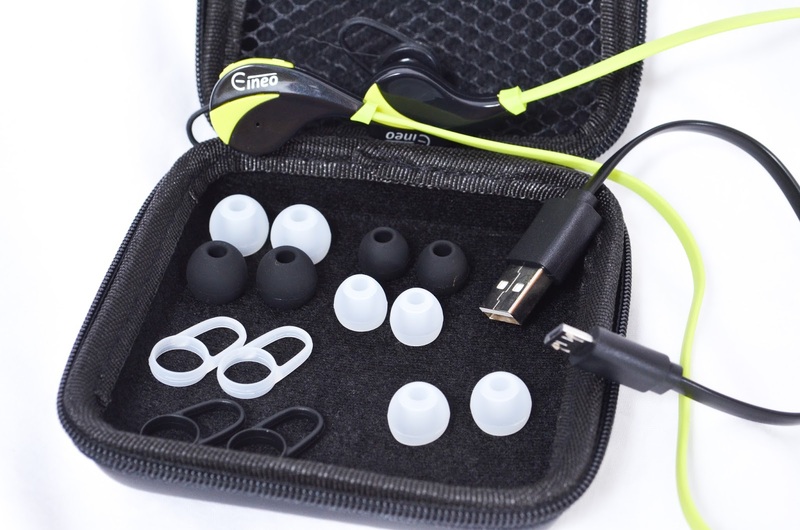 This set includes multiple ear pieces in black and translucent white as well as the vertical rubber extensions. The latter are pretty handy because they're no overly obtrusive in your ear but they're able to keep things from falling out when you're moving around a lot. The biggest problem I have with these is that they stick out so far. From the edge of the ear cushion to the outside is a whole inch. This takes away from the overall aesthetic and when I try to wear them in earmuff style hearing protection they get jammed into my ears. 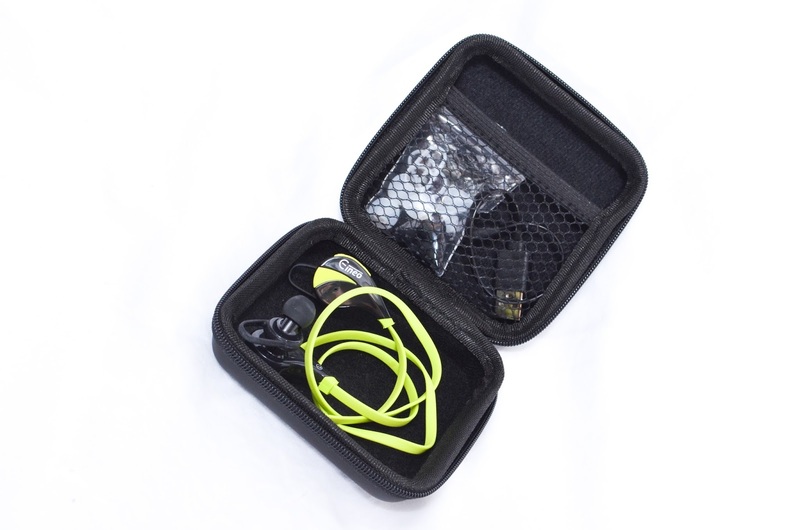 The small cord connecting each side is perfect length wise and the flat design prevents tangles from developing during storage. Function- Out of the box the best way I can describe the sound quality is muffled. It turns out that they're not incapable of producing high frequencies but the default setting has them a little low. I have an Android device so I just grabbed an equalizer app and turned up the higher frequencies and now everything sounds great. Lows are good for such a small speaker as well. I was able to call my wife and even though the mic is at your ear she said she was able to hear me fine. Buttons are simple with one on/off/take call/hangup button and direction buttons for selection songs and volume. They work fine but the on/off one is somewhat flush with the case and hard to find sometimes. If you're looking for a basic set of headphones to work or work out in, these can work. I only found them to get a little uncomfortable after a 2-3 hours due to plastic resting on my ears. Buy them with the right expectations and you'll be fine. I received this product free in exchange for nothing more than my honest opinion.